CONTENTS FEATURES 7 EHR’s troubled path Three members of the 2018 CDI Practice Guidelines Committee weigh in to light readers’ paths to a better EHR. 14 Working with CAC and NLP CAC and NLP may require some oversight, but they represent tools of the future. Therefore, CDI professionals need to be aware of these technologies’ potential pitfalls and develop tactics to overcome them. 22 DIY outpatient tracking tools Folks who’ve been in CDI since the beginning remember the days of paper queries, spreadsheets, and homegrown tools. Though many programs are decades removed from that time on the inpatient side, outpatient CDI is starting from scratch. 42 Guidelines for Achieving a Compliant Query	Practice—2019 update This practice brief, produced through a joint effort of ACDIS and AHIMA, supersedes the January 2016 practice brief. 39 Meet-a-Member Lourdes Albino Cacanindin is a CDI specialist at Sutter Health—Sutter Delta Medical Center in Antioch, California, and a member of the California chapter of ACDIS. OPINIONS & INSIGHTS 11 CDI audits Jill Dressler and Sandy Frey discuss their CDI auditing practices and results. 17 How to survive travel consulting Angela Maxfield shares her tips for traveling CDI specialists, learned over years of experience. 26 Technology and hybrid remote CDI networks T. Nichole “Niki” Baca and Sydni Johnson tell the story of how their CDI program moved to a remote hybrid model. 30 Trans aortic valve replacements Stephen Houlahan discusses the clinical and coding implications of trans-aortic valve replacements. Melissa Varnavas discusses the history of query practice advice and the new ACDIS/ AHIMA practice brief. 5 Advisory Board Note Angie Curry shares 10 questions CDI professionals should ask their software vendors. 28 Ask ACDIS Laurie Prescott answers frequently asked questions about sepsis sequencing. 33 Physician Advisor’s Corner Trey La Charité explains the reasons for clinically validating acute CHF exacerbations. 35 Coding Corner Kay Piper walks readers through the process for creating new ICD-10 codes. For permission to reproduce part or all of this newsletter for external distribution or use in educational packets, please contact the Copyright Clearance Center at www.copyright.com or 978-750-8400. CDI Journal (ISSN: 1098-0571) is published bimonthly by HCPro, 35 Village Road, Suite 200, Middleton, MA 01949. Subscription rate: $165/year for membership to the Association of Clinical Documentation Improvement Specialists. • Copyright © 2018 HCPro, a SimplifyCompliance Healthcare brand. All rights reserved. Printed in the USA. Except where specifically encouraged, no part of this publication may be reproduced, in any form or by any means, without prior written consent of HCPro or the Copyright Clearance Center at 978-750-8400. Please notify us immediately if you have received an unauthorized copy. • For editorial comments or questions, call 781-639-1872 or fax 781639-7857. For renewal or subscription information, call customer service at 800-650-6787, fax 800-639-8511, or email customerservice@ hcpro.com. • Visit our website at www.acdis.org. • Occasionally, we make our subscriber list available to selected companies/vendors. If you do not wish to be included on this mailing list, please write to the marketing department at the address above. • Opinions expressed are not necessarily those of CDI Journal. Mention of products and services does not constitute endorsement. Advice given is general, and readers should consult professional counsel for specific legal, ethical, or clinical questions. I’ve written a lot about queries and the evolution of query best practices over the past 10 years, and I’ve been around long enough to remember some of the controversies regarding those best practices. Some thought the recommendations in AHIMA’s briefs were too limiting, while others felt the guidance didn’t take CDI efforts into consideration—which ultimately led some to suggest that CDI staff didn’t need to follow the advice. At the time, CDI was a new profession born from the implementation of MS-DRGs, which fundamentally changed how the government paid for the care that facilities provided. AHIMA published its first practice brief in 2001, “Developing a Physician Query Process,” and its 2008 brief “Managing an Effective Query Process” offered insights that would take on greater importance as CDI programs moved record reviews into a concurrent timeline. In just a few years, the value of CDI seemed unquestionable. So, in 2010, AHIMA published several sets of CDI-related instructions such as “Guidance for Clinical Documentation Improvement Programs,” “Clinical Documentation Improvement Toolkit,” and “Ethical Standards for Clinical Documentation Improvement Professionals,” including various CDI professionals and ACDIS members in the research and discussions leading up to their releases. to a more detailed reference and a richer picture of a patient’s medical history…” It also explains that while coders cannot assign a code for information obtained from prior encounters, such information can be pulled into a query “if the documentation is clinically pertinent to the present encounter.” The brief uses the example of care provided for this stay that required interrogation of a previous encounter. While the new practice brief does not dig into clinical validation (it points instead to AHIMA’s “Clinical Validation: The Next Level of CDI” and ACDIS’ “Clinical validation and the role of the CDI professional,” publications as source documents), it reiterates the need for CDI professionals to bring forward appropriate clinical indicators to ensure query compliance. As in the 2016 iteration, “[t]here is not a required number of clinical indicators that must accompany a query because what is a ‘relevant’ clinical indicator will vary by diagnosis, patient, and clinical scenario,” the brief states, later adding that “[t]he quality of clinical indicators—how well they relate to the condition being clarified—is more important than the quantity of clinical indicators.” Recommendations are just that—recommendations for best practices. But, as one of the four Cooperating Parties, AHIMA’s recommendations hold additional sway. As the principal home for CDI professionals, ACDIS’ involvement, too, holds additional import for the industry. While much of the new brief will ring familiar to the ears of seasoned professionals, there is also much to review, from query formats to query policies and procedures, and numerous ways in which CDI teams may wish to revisit their practices. ACDIS appreciates the diligence of all the contributors and authors involved in crafting the 2019 release. And it extends its gratitude to AHIMA for continuing this important collaboration between HIM and CDI. Thanks to this joint effort, the industry continues to have one source document for compliant physician queries that it can stand behind. cases. That time can be leveraged to expand payer coverage and/or become involved in other strategic initiatives outside of traditional case reviews—something that’s already happening, as indicated by the 2018 CDI Week Industry Survey. Although the benefits of prioritization software solutions are becoming more widely known, choosing one of those solutions can prove daunting for healthcare organizations. The first step is to have a clear picture of facility priorities and how the CDI program aligns with those goals. From there, CDI professionals evaluating prioritization solutions should ask the software providers these five questions. Will the prioritization software interface with our current EHR and CDI software? This integration is what enables the time-saving promise of prioritization software—without it, the software may not function the way you want. You may need to do some homework with your IT partners and find out, for example, whether your current EHR sends demographic or registration information to your CDI software, and whether provider documentation is located within the EHR for AI review. Because implementing and integrating disparate software solutions generally lies outside CDI’s area of expertise, your organization’s IT leaders should meet with the prioritization software provider to determine what’s needed for successful implementation and integration. Make sure that those meetings don’t happen in a vacuum and that the IT staff communicate back to CDI leadership. What are the software prioritization logics that will triage the caseload? Can the logistics be customized to align with facility priorities? For example, common prioritization logics include MS-DRGs without CC/MCC, PSI, or hospital-acquired condition codes; procedure codes; long length of stay codes; and sign and symptom DRGs. An “out of the box” configuration may not align with facility goals, but not all software can be customized, so this question is critical in software selection. Does the prioritization software require the working DRG to be assigned to prioritize cases? If the answer is yes, this does not necessarily solve the dilemma related to prioritization without review, and so the CDI specialist must still review cases to create the working DRG. Are analytics or reporting available to help CDI teams continually improve their effectiveness? Data-driven reports or dashboards not only provide the management-level insight to evaluate CDI program results; they also help CDI specialists focus their efforts on effectiveness and identify areas for improvement. Ultimately, prioritization software can be an asset to healthcare organizations by optimizing CDI productivity and maximizing program efficiency. But understanding the benefits and limitations of the available solutions can be complex, so be sure not only to ask potential providers these questions, but also to ask for references and look for compelling case studies. Editor’s note: Curry is a client services manager for Nuance Healthcare, based in Nixa, Missouri, and a member of the ACDIS Advisory Board serving through April 2020. The opinions expressed do not represent a consensus agreement of ACDIS or its Advisory Board. Contact Curry at angie.curry@nuance.com. echnology changes at what can seem like light speed. ACDIS released a white paper on the topic of electronic health records (EHR) in 2013, and anyone working in CDI knows that, though some things remain constant, a lot has changed since then. The three issues that CDI professionals most often cite when it comes to EHRs are templates, copy/paste, and the problem list. Each of those components can lead to costly mistakes in the record, throwing off coding and reimbursement and possibly introducing patient safety risks. So,how can CDI professionals limit these types of issues? 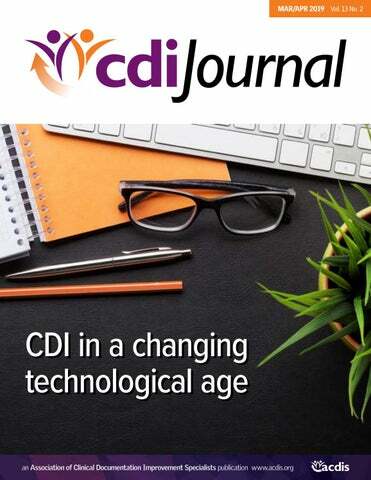 Three members of the 2018 CDI Practice Guidelines Committee weighed in for this edition of the CDI Journal to light readers’ paths to a better EHR. Physician template use To cut down on burdensome documentation requirements, most EHRs incorporate templates for providers to use. These templates may ease the documentation burden for physicians, but if they weren’t set up to capture the information needed for accurate documentation, they can steer CDI professionals reviewing the record in the wrong direction. addition, CDI professionals need to find ways to leverage the technology for accuracy and efficiency. For example, a smart phase could be implemented to pull in the registered dietician’s notes when they categorize the patient as having malnutrition. “CDI needs to be involved with the process of adding new shortcuts in the EHR,” says DiMeglio. Otherwise, the issues are likely to persist. Sharme Brodie, RN, CCDS, CDI education specialist at HCPro in Middleton, Massachusetts. “A lot of the physicians I’ve talked to would do the templates very differently if they had the chance.” For example, query templates are often formatted with the clinical indicators listed first, followed by the question a couple of paragraphs into the query. According to Brodie, many physicians would prefer that the question be listed first, with the clinical indicators following for reference. A recent Q&A with the ACDIS Advisory Board reveals that many organizations have switched their query format to put the question first as it helps “busy providers focus and get straight to the issue at hand.” Really, though, this is a matter of preference and has no effect on the compliance of the query itself. “The elements that comprise the entirety of the query, including the supporting clinical indicators, determine its compliance, not the sequencing of those elements,” the Advisory Board wrote. CDI teams should work with providers to create query templates that are as straightforward and understandable as possible for busy physicians and then work with the compliance and IT departments to implement those changes. diagnosis is correct, we’ll still have to write the appeal letter.” To deal with the problem list, organizations can enact policies laying out who is responsible for adding and removing the list’s diagnoses. This helps CDI professionals know, at the very least, whom to contact with questions about the list. CDI has many parts: documentation analysis, provider engagement, program infrastructure, and performance monitoring. One way to monitor staff’s effectiveness is to audit their query practices. This ensures CDI staff capture all query opportunities, doing so compliantly. Queries should be consistent to get providers accustomed to the forms and optimize response rates. Each audit should have identifying information in addition to audit parameters, as shown in the sample audit forms on pp. 12 and 13. This information will help determine, at a glance or at an executive level, what information needs to be clarified. This list may be revised based on the specific needs of a facility. The audit parameters need to be established in order to gauge the accuracy of a query. For a list of the possible parameters, review the two sample audit tools included on pp. 12–13. Again, this list may be revised based on the specific interests or needs of a facility. A good sampling is to review at least 10 queries per month per CDI specialist, or to review five queries plus five charts without a query generated. The charts without a query would be judged on one parameter: whether or not the query opportunities were identified. You can use an Excel spreadsheet to track audit results. Each parameter on a audit is a “yes” or “no” answer; each parameter is worth 1 point, for a total of 10 points. The accuracy score is based on the total audit score. So, if 10 query audits are performed, the total audit score is 100. A person can have five errors and still attain 95% accuracy, as shown on p. 12. Another option is to audit five queries plus five charts with no query opportunities identified. In that case, the query charts are worth 10 points each and the nonquery charts are worth 1 point each. The audit is based on 55 points, allowing CDI specialists three errors to attain 95% accuracy. See p. 13 for a sample audit. Did the query contain relevant diagnosis choices? Did the query contain relevant clinical indicators? Was the query written in a compliant and non-leading format? Was the correct working DRG assigned? Were the natural language processing (NLP) generated codes for principal diagnosis, CCs, and MCCs verified and supported? Were all query opportunities identified? (No missed opportunities found using the same date of review) Yes Does the chart contain enough documentation or clinical support to query? Was the query addressed to the appropriate provider? Did the CDIS provide a signature and contact information in the query? Is it a necessary query? Were the NLP generated codes for principal diagnosis, CCs and MCCs verified and supported? Were all query opportunities identified? (No missed opportunities found using the same date of review) Yes Does not meet query guidelines (i.e., documented in chart) OR not enough clinical support to query? pitfalls and develop tactics to overcome them. Let’s start with NLP. NLP Think of NLP like dictation and transcription, but without the live, in-person transcriptionist. Instead, a physician speaks notes into a computer, recorder, etc. and the NLP software transcribes, word for word, what the physician says in real time. Then, in an ideal world, the physician goes back through the note and proofreads it to ensure the software captured the documentation accurately. With time, CDI professionals need to not only learn the quirks and hiccups of their particular NLP, but also the nuances of how their physicians use, or abuse, the technology. Armed with that understanding, they can pass along helpful hints to physicians and work with their technology vendors and IT staff to bring their NLP “dragon” to heel. Making the best of the situation Technology may not be perfect, but when it’s used properly and CDI professionals are attuned to the potential issues, it can be a net positive, says Killenberger. “I think most of it is really making our lives easier,” she says. “The CAC, in particular, makes things a lot quicker for CDI. You can quickly go through and click on the diagnoses that are pertinent and know which records to check on.” Nowak suggests working with IT or leveraging the help of a data analyst with CDI experience to fix any issues encountered. “We bring [our analyst] our issues and have him look at the functionality we need,” she says. “Once you identify what any issues are, you have to report it to make a change rather than just getting frustrated.” Nowak says one of the most helpful features of Rady Children’s CAC system is that it can automatically highlight the parts of the notes that were taken from previous days, which identifies copy/paste issues without requiring the CDI team to sift through the notes manually. but it can’t replace a high-performing CDI professional, Downie says. “There’s been conversations about CAC replacing CDI, but that’s not going to happen because of patient acuity and differences,” she says. “And as good as artificial intelligence is, our job can’t be done by a lawnmower—it takes a human being. You’re going to need that human ability to handle the uniqueness of each chart, even if you have the technology.” Editor’s note: For more information on selecting a software vendor, read Advisory Board Member Angie Curry, RN, BSN, CCDS’s note on p. 5. Additionally, read through the 2018 ACDIS white paper, “Find the right vendor for your organization: Best practices for getting started” in the ACDIS Resource Library. Long flights, layovers and connections, lost luggage, ride-sharing, hotels, unfamiliar beds, time zones, and climate changes. The phone calls, video chats, and call-you-when-I-gettheres if you’re juggling family life and work life. All can be frustrating for a traveling CDI consultant. So, how do you survive travel burnout? The tips below helped me over the past five years; I hope sharing them will make your trips more enjoyable. fountain inside the terminal once you get through security—this will save you money and is healthier than soda. If you snack en route, choose foods with low sodium and sugar to avoid leg swelling and the rise and fall of a sugar rush at 30,000 feet. If you want to treat yourself to a meal, reserve it for after you land. Avoid foods that cause you an upset stomach. Ground transportation Research beforehand how to get from point A to point B once you’ve landed. If you’re renting a car, have your reservation details in hand when you reach the counter. As with airlines, if you book with a particular rental company every time, you can take advantage of their perks later on. Always sign up for the rewards program. If you opt for a ride-sharing service such as Uber or Lyft, be careful. Once your ride approaches, ask the driver whom he or she is looking for rather than immediately giving out your name. The apps for these services will let you share your ride information with a friend or family member—do this so someone else will know who you are traveling with. Health When traveling, deciding what to eat is an everyday battle. Most hotels aren’t equipped for cooking, so eating out becomes the norm. To combat this, my suggestion is to use the refrigerator at your facility to bring in breakfast and lunch, rather than grabbing a donut in the morning or a greasy burger in the afternoon. Make smart choices like veggies and meals that can be kept chilled. Soups, salads, and healthy snacks can be prepared in the break room or kitchen. If you dine out, make healthy choices. Fast food is tempting, but it will compromise your health and pack on the pounds. In most positions, you’re sitting for hours on end. Remember to get up and move. Try setting a timer on your phone so you move for five minutes every hour. At the end of the day, get some additional physical activity in, such as swimming, running, or walking. Accommodations and safety Once you reach your destination, carefully assess your surroundings. Ensure that the area is secure. Many travel agents don’t know the specific locations of the hotels they book with. If you do not feel safe, let your recruiter know immediately. Be careful with any mail or other documents you travel with. If it’s stolen or left behind in a hotel room, airport, or airplane, you run the risk of identity compromise. Instead, try arranging to receive your credit card statements, banking statements, etc. electronically. You can also use online recordkeeping services to organize your travel, expenses, spending, and receipts. Keep an eye on your credit card and banking statements as you travel. Better yet, sign up for credit card alerts so you will be notified of spending activity. Your privacy is your responsibility. Not everyone you work with or meet needs to know where you are housed. Guard your location information and do not discuss your living situation, especially if you are traveling alone—and remember to lock your doors. growth. Try not to make these meetups into gripe sessions. Networking reminds you that your work makes a difference, even if you’re not part of the facility team. Family time Traveling and leaving family behind can be difficult. You and your significant other will have to maintain strong communication with each other and your children, if you have any. Family obligations may mean a given time frame isn’t ideal to take a trip. If you choose to travel, you may have to miss out on sports, school projects, etc. Make sure you are committed to staying in touch through FaceTime, Skype, and/or social media platforms. You can balance consulting life and family life, but it requires communication. Friendships Friendships are important for mental wellness. At the end of your workday, make time for family, but also take a few minutes to stay connected with your friends at home. 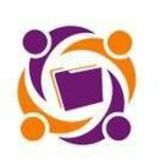 Connect with like-minded people in your assignment area. When you do the things you like to do, you will find others doing the same thing. But, as cautioned earlier, be careful whom you confide in and what you divulge to others. And, of course, don’t check your social media while you’re working. Be ‘all in’ How often do we travel and let ourselves “live out of a suitcase?” Don’t do it. Hang your clothes in the closet and put your toiletries in the bathroom. Some assignments may have you on-site for a couple of weeks or even longer. If you’re on one of these extended trips, try to maintain your usual home routine. Keep active and join a gym or fitness center if that’s what you’d be doing at home. Or consider volunteer work—there are many opportunities if you enjoy helping in the community. Traveling work isn’t for everyone, but if it’s for you, there’s so much to look forward to. The experience is all in how you approach life. Teach, grow, and enjoy! Editor’s note: Maxfield is a consultant for MAXIM HIM. Contact her at maxfield_angela@yahoo.com. Opinions expressed are that of the author and do not necessarily represent HCPro, ACDIS, or any of its subsidiaries. This is the one clinical documentation improvement (CDI) conference you can’t afford to miss! Join more than 1,600 of your peers at the only national conference dedicated entirely to the CDI profession. The annual ACDIS Conference features unparalleled networking, the ACDIS Achievement Awards, and six concurrent educational tracks with a diverse range of sessions, covering best practices for staff management, physician engagement, clinically focused chart reviews, and critical regulatory updates to improve every aspect of your CDI department. Base conference pricing includes a ticket to attend our opening night reception in the exhibit hall on May 20, as well as breakfast on all three days, lunch on days 1 and 2, and snacks and beverages throughout. Unlike the inpatient CDI world, there aren’t many outpatient tracking tools premade and available through vendors—and the ones that do exist are often priced at a level that’s difficult to justify for a unproven program, says Jennifer Boles, CPC, CRC, system manager of ambulatory CDI at Baptist Health in Louisville, Kentucky. “You can talk to the vendors and it looks great, but then you bring it back to the health system and it’s very hard to justify the price tag if you’re a brand-new program,” she says. Folks who’ve been in CDI since the beginning remember these days in inpatient as well—the days of paper queries, spreadsheets, and homegrown tools. Though many programs are more than a decade removed from that reality on the inpatient side, outpatient CDI is starting from scratch. And just as with their inpatient predecessors, many programs are opting to develop their own tools to suit their needs. Developing a tool Though determining what to track is no small order, it’s only part of the battle. Developing the tool itself can be a long, arduous, and sometimes overwhelming process. While there are several options, many programs opt for Excel-based tools because they are easily customizable and affordable. “We decided on Excel for our tracking tool,” says Wilson. “We have Epic for our EHR, and at the time, there wasn’t really any solution in Epic for what we were doing. CCDS, CPC, the ambulatory CDI program manager. and the manual nature of an Excel tracking tool. “On a monthly basis, our analyst pulls audits and shows us what providers actually billed for the cases we reviewed,” says Wilson. “We’re able to roughly determine whether they actually addressed the query and whether we made an impact.” Even if you don’t have an analyst, enlisting the help of other groups in and outside the organization can be helpful to determine whether CDI efforts work. Josten, for example, uses the RAF calculator from HCC University with her program’s Excel spreadsheet to make the calculations easier and remove the risk of human error. Boles, for her part, requests reports from the ACO and from vendors and compares their numbers with what she’s calculated with the homegrown tracking tool. This process helps validate the data and reveals any issues with the tracking tool or calculations. Leveraging results Having the right data and reports can help advance outpatient program efforts in several ways. First, having that data available and reporting it to the appropriate leadership (depending on which department the outpatient CDI program reports up through) can work to justify new staff positions, says Frosch. “We included a field in our spreadsheet for tracking code corrections with the goal of demonstrating the need for coders versus physicians coding their own charts,” she says. Additionally, the reports can help identify educational opportunities, notes Boles. You can’t properly educate physicians without knowing where the problems are. Since she pulls the reports monthly anyway, Boles tries to put out educational materials at the same frequency to correct problems on a rolling basis. “I definitely use the metrics for leadership, but I also put out an HCC tip of the month in our newsletter,” she says. “I share the data with my director and executive director, so we get an idea of what we need to educate more on too.” The impetus for tracking outpatient metrics may initially be for gaining leadership buy-in or educating physicians, but Carrier points out that those reports can also help to streamline CDI efforts. Having a benchmark and knowing what sort of effect you’re having is all well and good, but make sure to leverage that knowledge to improve your own processes too. “These reports help us identify what our most commonly queried diagnoses are so that we can develop query templates, which will save us time since we won’t be typing them up by hand every time,” she says. While the data gleaned from these homegrown tools can be incredibly helpful to a program, the process won’t be flawless overnight. As with any homegrown process, expect some trial and error before it’s perfect. In grade school, your teacher probably asked you to draw pictures of what life in 2020—or some other futuristic-sounding date—would look like. In response, you or your classmates drew things like flying cars, floating houses, and robot maids. It’s now 2019 (how crazy is that? ), and while we do have robotic floor cleaners, they’re a far cry from The Jetsons’ Rosie the Robot. However, we have made so many amazing advances in technology. Where would we be without the internet, for example? Back at the beginnings of CDI, we had books like DRG Expert and Excel-based programs for DRG selections. More than 10 years later, vendors are offering web-based technologies that use artificial intelligence and machine learning to make us even more productive. The real question, however, is how we can best leverage those technologies. When our healthcare system decided to implement a hybrid remote work staff, we had a few challenges to overcome. We thought we’d share some of them with you. check-ins, monthly team meetings, and bimonthly department meetings. This allows us to maintain our relationships as facility teams and as a network. Team members also log into an instant messenger application, allowing them to communicate with each other, management, and CDI educators whenever the need arises. Coverage The second challenge we faced came a little while after we started: covering facilities that weren’t large enough to support a full-time staff member. We addressed this challenge by analyzing our census and evaluating our staffing needs. Partnering with our vendor, we were able to leverage technology to create “cohorts” for coverage. The cohorts are defined as the eight facilities with 100% remote coverage by our regular hybrid remote facility-based staff. Due to the remote locations of those facilities, in-house rotations aren’t currently feasible. Creating cohorts allowed our 11 facility-based teams to remotely review charts all at 19 facilities. We also created worklists for our cohorts, which enabled CDI team members within the network to access and review patient records at those sites. others? We also engaged our own staff by creating a workgroup composed of CDI team members from each facility to give them a voice in the workflow. We again explored our CDI application’s capabilities, and after a lot of research and workgroup debate, we created a morning census report. This report allowed facility staff members without enough patients to review to assist another facility in the network, thereby helping both the staffer and the other facility to meet targets. We also created a “float” team staffed by high-performing CDI specialists that no longer have a “home” facility, but instead review cases at any facility that has extra patients and needs the assistance. This required a workflow redesign within our vendor’s CDI technology. Without these technologies, we would not have remote work environments that allow for a better worklife balance, improved employee satisfaction, and better support for the people in our facilities and the relationships we’ve built with them. Technology allows us many options for staying in touch with those that we’re not able to physically see every day. What a wonderful time we live in! Editor’s note: Johnson is the CDI educator for Banner Health Network’s CDI program in Phoenix, Arizona. Contact her at Sydni. Johnson@bannerhealth.com. Baca was the senior CDI manager for Banner Health Network at the time this article was authored and is currently working at R1 RCM as the director of CDI. Contact her at tbaca@r1rcm.com. Opinions expressed are that of the author and do not necessarily represent HCPro, ACDIS, or any of its subsidiaries. Orientation Lastly, our fourth challenge was orienting new staff. At the outset, we ensured we had a thorough orientation guide for the preceptors and orientees to use as a reference. We made a basic template available to our team on our intranet education page. We also created a custom, dated plan for each orientee, which was sent via email to the orientee, preceptor, and orientee’s manager, so everyone had the same expectations and timelines. Managers must be cognizant of preceptor capabilities and make sure there are enough preceptors to capably support the team while avoiding preceptor burnout. Orientation must be done in person initially, and at our network we decided a minimum of one month of in-person preceptorship should occur prior to moving to a more remote-based work environment. After the month is up, the preceptor uses remote meeting tools and instant messaging to support the orientee for the remainder of his or her orientation. While some of us might still hope for flying cars and robot maids in the future, we’re so lucky to live in a time with internet, email, remote meeting tools, instant messengers—the list goes on. on admission, and meets the definition of principal diagnosis, the underlying systemic infection should be assigned as principal diagnosis followed by the appropriate code from subcategory R65.2 as required by the sequencing rules in the Tabular List. A code from subcategory R65.2 can never be assigned as a principal diagnosis. When severe sepsis develops during an encounter (it was not present on admission), the underlying systemic infection and the appropriate code from subcategory R65.2 should be assigned as secondary diagnoses. Severe sepsis may be present on admission, but the diagnosis may not be confirmed until sometime after admission. If the documentation is not clear whether severe sepsis was present on admission, the provider should be queried. Overall, it’s helpful to go back to the Guidelines whenever you’re feeling confused. They’re always your best resource to set you straight. Editor’s note: Laurie L. Prescott, RN, MSN, CCDS, CDIP, CRC, CDI education director at HCPro in Middleton, Massachusetts, answered this question. Contact her at lprescott@hcpro.com. For information regarding CDI Boot Camps, click here. Transfemoral AVR is the most common approach, utilizing an incision in the groin to access the femoral artery, as opposed to the open sternotomy approach utilized in surgical AVR (SAVR). In the transfemoral AVR approach, a percutaneous catheter is passed from the femoral artery through the aorta to the aortic valve. A specialized angioplasty balloon is used to fully dilate the patient’s native aortic valve, making it completely insufficient. This is followed by the near-simultaneous deployment of a specialized, fully collapsed, prosthetic aortic valve into position over the insufficient native aortic valve, completely taking over the native valve’s function. thetic substitute, percutaneous approach However, the clinical presence, and correct documentation, of an MCC affecting the TAVR patient is the difference between an organization submitting MS-DRG 266 or MS-DRG 267 for reimbursement (Optum360, 2019). The reality of the U.S. healthcare system is that hospital service lines must provide a positive contribution margin to their respective organizations lest they be discontinued. In fiscal year (FY) 2019, the relative weight (RW) of both MS-DRG 266 and MS-DRG 267 was decreased (see chart on the next page). This lowered RW will result in, on average, a decrease of $2,585.48 for MS-DRG 266 and a decrease of $1,012.04 for MS-DRG 267 in FY 2019. With the TAVR prosthetic aortic valve implant costing approximately $25,000, margins will remain tight for this life-changing service. Patients with severe symptomatic aortic stenosis typically have comorbidities that include congestive heart failure (CHF). CDI staff constantly query providers for the type and acuity of CHF patients. When TAVR patients are diagnosed with acute-on-chronic diastolic CHF (code I50.33), CMS reimburses for MS-DRG 266, since the patient had an MCC (Optum360, 2019). If the TAVR patient was diagnosed with chronic diastolic CHF (code I50.32), however, CMS reimburses for MS-DRG 267 unless the patient has an alternative MCC (Optum360, 2019). Therefore, the proper, clinically valid documentation of the TAVR patient’s CHF type and acuity will result in optimized payment for the TAVR procedure. CDI staff are taught to review the patient’s medical record for a recent cardiac ECHO to discern the ejection fraction and distinguish the type of CHF; they are also taught to review laboratory data, including the patient’s serum pro-BNP level, for the CHF’s acuity. Administration of an IV diuretic (e.g., Lasix, Bumex) is a good clinical indicator that the patient’s CHF is acutely exacerbated. TAVR patients, however, typically do not present with elevated serum pro-BNP levels and do not require IV diuretics prior to TAVR to clinically validate an acute CHF exacerbation. This leads to the question all interventional cardiologists and cardiothoracic surgeons must ask: What specifically constitutes acute exacerbation of CHF? To answer this question, every healthcare organization that performs TAVR implantations and receives reimbursement from CMS must establish an organizational definition of what constitutes acute exacerbation of CHF. For example, the Framingham CHF criteria state that two major criteria, or one major and two minor criteria, must be present for the patient to be considered in “acutely decompensated CHF” (McKee, Castelli, McNamara, & Kannel,1971). See the chart below. specificity, resulting in proper payment, audit avoidance, and denial prevention. TAVR is a breakthrough and a marvel of modern medical science. Although patient selection criteria are currently very strict per CMS guidelines, TAVR has the potential to completely displace SAVR in the coming decades. CMS decreased the RW of the two TAVR MS-DRGs in 2019, decreasing reimbursement for the procedure. Organizations should adopt Framingham’s congestive HF criteria, or some other evidence-based CHF criteria, to support clinical diagnosis of CHF type and acuity. Providers, meanwhile, must follow CMS’ TAVR selection criteria, perform the TAVR intervention efficiently and cost-effectively, and document all clinically valid diagnoses to ensure optimal reimbursement and maintain a positive contribution margin for their TAVR program. sive guidebook to the DRG classification system using the ICD-10-CM and -PCS code sets. Salt Lake City, UT: Optum360. Editor’s note: Houlahan is a senior CDI specialist at Sharp Health Care in San Diego, California. Fun fact: He is also the vice mayor of his hometown of Santee, California! Contact him at Stephen.houlahan@sharp.com. Opinions expressed are that of the author and do not necessarily represent HCPro, ACDIS, or any of its subsidiaries. Recovery Auditor (RA) denials raise my blood pressure more than anything else (except maybe the postal service and the IRS). The constantly increasing number of clinical validation denials are repeated attacks against my hospital and my colleagues. I recently received a denial that assaulted a previously untouched target: the clinical validation of acute congestive heart failure (CHF) exacerbation. Unfortunately, that denial has proven not to be an isolated incident. Hopefully, sharing my experience and our hospital’s strategy will help in your appeal battles. problems with reduced diastolic filling or systolic ejection are likely having an acute HF exacerbation. To restate, not all acutely decompensated HF patients will demonstrate “classic” clinical indicators. If patients with chronic HF are acutely functionally decompensated and no other obvious cause can be discerned, they’re probably having an acute exacerbation. BNP levels Do not ignore a patient’s admission beta natriuretic peptide (BNP) level when formulating your defense. Per the 2017 ACCF/AHA/HFSA “Focused Update of the 2013 ACCF/AHA Guideline for the Management of Heart Failure” (Circulation, April 2017), “in patients presenting with dyspnea, measurement of natriuretic peptide biomarkers is useful to support a diagnosis or exclusion of heart failure.” This source further states that “higher values have reasonably high positive predictive value to diagnose heart failure.” You should also compare your patient’s BNP level with levels obtained from previous admissions (or office appointments). Even if previous BNP levels were elevated but stable, the current value may be suddenly and significantly higher. If that’s the case, chances are your patient’s having an acute HF exacerbation. Some clinicians discount BNP levels because they may be elevated due to many other medical issues. Don’t allow that practice to dissuade the formulation of an appeal argument; use every piece of evidence at your disposal to persuade whomever reads the appeal. If the RA is in the habit of blaming elevated BNP levels on something else, address those concerns and concentrate on the acute rise in levels in comparison to previous test results. ECHO is read as being without any obvious abnormalities. Normal LVEDP is considered to be 6–12 mmHg. In my facility, anything above this range detected during a cardiac catheterization will likely result in some form of diuresis once the procedure is over. Furthermore, the higher the value, the more diuresis the patient appears to receive. Therefore, an elevated LVEDP should certainly be used as evidence to support your defense. Patient’s clinical response A final useful piece of information is to review the patient’s demonstrated excellent clinical response to aggressive treatment for an acute HF exacerbation. If the disease process that was diagnosed at admission and the treatment for that disease process brought about a favorable outcome, the involved clinician was probably correct regarding the initial diagnosis. Many patients, however, present with different disease processes, all of which appear to acutely decompensate simultaneously. It’s difficult to determine the order, the causation, and, for the sake of the appeal, the principal diagnosis under the United Healthcare Discharge Data Set definition. Since clinical validation denials target cases where the acute HF exacerbation is the only MCC reported, it can be difficult to isolate the treatment that most affected the patient’s recovery. Sadly, clinical validation denials are here to stay, and I predict they will grow in volume and scope. In my facility, we have witnessed a yearly doubling of these denials. Medicare and commercial payers are constantly pressured to maintain viability and profits. When a denial sounds credible upon first reading, remember that the auditor probably isn’t telling you the whole story. Review every entry in the record before conceding. You never know what evidence was overlooked or ignored in the RA’s attempt to discredit your physicians. Regardless of how ludicrous the reason for the denial, if an appeal’s not attempted, you automatically lose. Editor’s note: La Charité is a hospitalist with the University of Tennessee Hospitalists at the University of Tennessee Medical Center at Knoxville, a clinical assistant professor, and the medical director for UTMC’s CDI program. La Charité’s comments and opinions do not reflect necessarily those of UTMC, HCPro, ACDIS, or any of its subsidiaries. Contact him at Clachari@UTMCK.EDU. Have you ever thought to yourself, “I wish there was a code for that?” Good news! You can make your dreams come true by submitting a code proposal to the ICD-10 Coordination and Maintenance Committee (C&M). in this article, I’m going to walk you through the process by sharing the experience of a medical coding educator and a CDI physician advisor. “There’s no good way to code it,” Janice Noller, RHIA, CDIP, CCS, CICA, told Holly Ledyard, MD. “We can’t capture ‘traumatic brain herniation’ with the current ICD-10-CM codes.” Noller and Ledyard work at University of Utah (U of U), a Level I trauma care center and a tertiary referral center that receives patients transferred from surrounding states. ICD-10-CM code G93.5, compression of brain, looked like a good option. It reports brain herniation resulting from strokes, tumors, and other medical etiologies. However, traumatic etiologies are assigned to category S06, traumatic brain injury, which doesn’t identify the specific injury. Capturing data specific to brain herniation is vital information for a research hospital like U of U. Once the brain herniates, there’s a high risk of mortality. A code for traumatic herniation would help with retrospective studies that could advance the care of these incredibly ill patients. call-in phone number is available for those wanting to ask questions or comment during the meeting. Attendees, both in-person and remote, are encouraged to ask questions or make comments. Everyone must send their comments in writing even if they speak up at the meeting. Comments must be submitted by the deadline, which is approximately one month following the meeting. Please be aware that no decisions are made at the meeting itself. Recommendations and comments are carefully reviewed and evaluated once the comment period has closed, before final decisions are made. CEU credits for both AAPC and AHIMA are approved for those attending in person or viewing online. The meetings are recorded and posted on YouTube immediately after adjournment. Several prior meetings are still available for viewing, which is extremely helpful for anyone seeking information on recently created codes. One must submit the coding proposal in advance to nchsicd10CM@cdc.gov. Submission deadlines are posted on the NCHS website under “Upcoming Meetings.” Once proposals are reviewed, requestors are contacted as to whether the proposal has been approved for presentation. Once selected, many requestors create PowerPoint presentations that help attendees understand the clinical concepts more easily. In presenting their case, Ledyard noted that traumatic brain herniation care differs from care required for herniation due to medical causes. And within traumatic herniations, treatment and survival rates differ depending on what part of the brain herniates. For instance, an open skull fracture brain herniation is different from a tentorial herniation through the cerebellum, each causing different clinical syndromes. Treatments differ, as do survival rates. Detail about types and locations of brain herniation is needed for research on treatment and prevention. Noller reviewed the ICD-10-CM code book to determine which code category to place the proposed codes in. Because it’s traumatic, it fit best in ICD-10-CM Chapter 19, Injuries, Poisoning, and Other Consequences of External Causes (S00–T88), and in category S06, intracranial injury. She proposed the new subcategory S06.7-, traumatic intracranial compression, because the other categories didn’t reflect clinically what was happening with patients. Noller and Ledyard worked together to identify which details were significant to capture. Together, they finetuned the code proposal based on clinical terminology that neurologists most commonly use. Then, Ledyard provided the clinical rationale and the supporting references to include in the proposal. Next, Noller considered the best way to set up the code in keeping with the code category structure. For instance, what are the Includes and Excludes notes for other codes? Are there any sequencing directions such as “Code first” or “Code also”? Noller considered that brain herniation happens later as the brain swells, and not immediately at time of trauma; she created a “Code first the underlying traumatic brain injury” note. This makes a difference because patients may be transferred to U of U due to the herniation, but the “Code first” instruction provides accurate sequencing direction. Noller’s proposal included parts of the brain: tonsillar, subfalcine, transtentorial, and uncal based on Ledyard’s input. Less common parts were included in S06.718-, other cerebral herniation. Finally, Noller proposed an Excludes1 statement be added under G93.5 that directs the coder to assign S06.-, traumatic brain compression. Post meeting: Public comment period and beyond Noller responded to the comment in writing. As the proposal submitters, she and Ledyard felt strongly that the specific site of the herniation is important to study treatment and mortality. Ledyard responded that herniation means there is compression, so a code stating “without compression” isn’t clinically credible. Noller requested that the clinical detail remain. It’s been a year since that March 7, 2018, C&M meeting. Berglund’s team will review the comments they’ve received, and notes that once approved, CMS must consider payment and other implications for the new codes. Berglund also sent all the responses to Noller, so she will have a chance to respond to them. Noller suggested grouping most of the sites together in one code, but keeping a couple of them separated out. She also proposed that the locations be allowed to be coded from imaging reports, as this is allowed for other cerebrovascular diseases per Coding Clinic. to design codes to best represent what clinicians feel is useful. Noller says her team is thinking about submitting more proposals because the experience went so well. For those interested, you can read Noller’s written proposal by clicking here, and you can listen to Dr. Berglund’s presentation by clicking here (it starts at 2:24:00 and runs through 2:37:00). national HIM associations, and previously served on the American Hospital Association (AHA)’s ICD10-CM/PCS Coding Clinic Editorial Advisory Board. Janice Noller, RHIA, CDIP, CCS, CICA, has been in health information for more than 40 years and has had a wide range of experience from working in different capacities around the country. She has volunteered for multiple state HIM associations and has always enjoyed educating coders. She is currently the inpatient coding educator for University Hospital in Salt Lake City, Utah. She serves on the AHA’s ICD-10-CM/PCS Coding Clinic Editorial Advisory Board. Holly Ledyard, MD, MS, is assistant clinical professor in neurology and surgery in the University of Utah (U of U) School of Medicine. She is board-certified in neurocritical care and emergency medicine and works actively as a clinician in the ED and neurological critical care unit of University Hospital. She has been a physician advisor for the documentation improvement committee for several years. After 11 years in pediatric, CDI gave her a new home Lourdes Albino Cacanindin, MD, CCDS, is a CDI specialist at Sutter Health–Sutter Delta Medical Center in Antioch, California, and is a member of the California chapter of ACDIS. offered me the job as a CDI reviewer. The rest is history! ACDIS: What has been your biggest challenge? Cacanindin: My biggest challenge, when I started, was getting hold of the chart. We did not have Epic in 2010, so I suggested staying on the floors while I read the charts in the doctor’s quarters. I was able to chat with the providers and do verbal queries at the same time. I used neon orange–colored paper for my written queries so that our doctors could locate them among the piles of paper in the patient’s chart. The funny part was, when I went up to the floors, I could see some doctors going to the opposite direction to avoid me. It was like a mouse seeing a cat. But, I got some help from the telemetry nurses. They called my extension or my cell when they saw the doctors in my “most wanted list.” Once a particularly rude provider asked, “Where do you get those differentials? Google?” So, I said, “Yes! I can get more precise diagnoses from Google than from your chart.” And said it with a big smile. ACDIS: If you could have any other job, what would it be? Cacanindin: Probably a college professor. I’d love to teach and learn, but I hate lesson planning like what my mom used to do. She was an elementary school teacher when we were growing up and taught me a lot about being academically strong. She’s enjoying her life with my dad and two sisters in the Philippines. ACDIS: What was your first job? Cacanindin: I helped my mom manage our own mini grocery store in Malinta, Valenzuela City. I was the cashier after school hours. Everybody calls my mom Nonie “Mrs. Love” because the name of our store was LOVE—L for Lourdes, O for Orchids, and VE for Venus—her three precious daughters’ names. physicians after listening to all the updates and ICD-10 information I gathered from this very excellent conference.” My colleagues were teasing me as a “two-timer!” My favorite memories are with the people I meet each year: new colleagues and friends who enjoy the company and savor the knowledge we learn each year. My group of CDI friends has grown bigger and closer to my heart. I’m glad one of my co-workers, Sandra Christensen-Waldear, has gone with me for two years. We each presented posters last year. I’m hoping to present another poster this year. I’m already looking forward to the Florida ACDIS conference. My husband and I are planning to drive to Orlando with our Berkshire RV. Cacanindin: You should love digging into the chart for clinical evidence and learn to love the challenges you will encounter daily because they will make your confidence level higher once you overcome those tasks. Take it one great query at a time. Count your blessings that you are in the most notable profession and you are creating a great impact for your institution. Share what you learned and make worthy discussions and accept good arguments. Learn from your mistakes and ask for help when necessary. Cacanindin: We have a very busy social life. As one of our dear friends always says, “I can’t catch up with you guys. You’re hardly home!” Well, my husband just retired, and we want to enjoy life while we can. We always spend time with family and friends, and we love to invite people over whenever we’re home. We love to celebrate life, and it keeps us feeling young. You have to tell us in advance if you want to invite us somewhere because our calendar fills up fast. We’re moving around with Shire all the time when we have time. his American Health Information Management Association – Association of Clinical Documentation Improvement Specialists (AHIMA-ACDIS) Practice Brief should serve as an essential resource for coding and clinical documentation improvement (CDI) professionals in all healthcare settings who participate in query processes and/or functions. It should also be shared and discussed with other healthcare professionals, such as quality, compliance, revenue cycle, patient financial services, physician groups, facility leaders, and any others who work with health record documentation, clinical coding, and/or coded data. party staff and/or consultants The distribution of this Practice Brief should enhance the importance of adherence to its contents and guidance while improving results, outcomes, and compliance with ethical practice. Who should follow this brief? With the evolution of reimbursement methodologies that move beyond resource use and instead focus on severity of illness, medical necessity, risk adjustment, and value-based measures, specific documentation related to diagnosis capture, acuity, and clinical validity have become even more important. The need for clear and accurate documentation and how it is translated into claims data impacts healthcare roles such as case management, quality management professionals, infection control clinicians, and others. In support of organizational objectives, these professionals actively engage in educating providers to document a certain way. These individuals may not understand that their interactions meet the definition of a query, but because their practices could alter coded data, they must ensure that their practices meet compliance standards. Examples of non-compliant queries include: directing a provider to document a diagnosis that is not clinically supported but serves as an exclusion for a patient safety indicator, adding a non-reportable diagnosis, or encouraging a provider to neutralize documentation suggestive of a post-surgical complication. Although open communication between members of the healthcare team and providers is necessary and important, when it can impact claims data these discussions should be memorialized as queries. Organizations should educate all relevant professionals in compliant query practices through collaboration with health information management, coding, and CDI professionals before engaging in these interactions. Regardless of the credential, role, title, or use of technology, all healthcare professionals (whether or not they are AHIMA or ACDIS members) seeking to clarify provider documentation must follow compliant query guidelines. patient as cited within the health record are applied and referenced appropriately. Additionally, the choices provided as part of the query must reflect reasonable conclusions specific to the clinical scenario of the individual patient. extent of a procedure Although specific query formats will be discussed later in this Practice Brief, issuing clinical validation queries can be more challenging than other query types. These challenges have initiated the development of a separate Practice Brief to address these concerns. Please refer to the AHIMA Practice Brief titled “Clinical Validation: The Next Level of CDI” to learn more about the process of clinical validation, available in the AHIMA HIM Body of Knowledge at http://bok.ahima.org. disease that is no longer present (e.g., history of a neoplasm) When considering whether a query could be issued using information in the prior record, carefully consider the “General Rules for Other (Additional) Diagnoses” that states: “For reporting purposes the definition for ‘other diagnoses’ is interpreted as additional conditions that affect patient care in terms of requiring: clinical evaluation; or therapeutic treatment; or diagnostic procedures; or extended length of hospital stay; or increased nursing care and/or monitoring,” according to ICD-10-CM Official Guidelines for Coding and Reporting, Section III. It would be inappropriate to query for a diagnosis that, if documented, would not satisfy this criteria. A query cannot be based solely on the information from a prior encounter, there must be relevant information within the current encounter to substantiate the query. vary by diagnosis, patient, and clinical scenario. While organizations, payers, and other entities may establish guidelines for clinical indicators for a diagnosis, providers make the final determination as to what clinical indicators define a diagnosis. AHA’s Coding Clinic® similarly affirms that in its first quarter 2014 issue, stating “Clinical information previously published in Coding Clinic whether for ICD-9-CM or ICD-10-CM/PCS does not constitute clinical criteria for establishing a diagnosis, substitute for the provider’s clinical judgment, or eliminate the need for provider documentation regarding the clinical significance of a patient’s medical condition. It may still be useful to understand clinical clues regarding signs or symptoms that may be integral (or not) to a condition. However, care should be exercised as ICD-10-CM has new combination codes as well as instructional notes that may or may not be consistent with ICD-9-CM.” The purpose or type of query will also impact how much clinical support is necessary to justify the query and, when applicable, reasonable option(s). When the purpose of the query is to add a diagnosis, clinical indicators should clearly support the condition, allowing the provider to identify the most appropriate medical condition or procedure. The quality of clinical indicators—how well they relate to the condition being clarified—is more important than the quantity of clinical indicators. Clinical indicators can be identified from sources within the entirety of the patient’s health record including emergency services, diagnostic findings, and provider impressions as well as relevant prior visits, if the documentation is clinically pertinent to the present encounter. For example, there is care being provided in the current encounter that necessitated the review of a previous encounter to identify the undocumented condition. Compliant query practice always requires the individualization of each query to reflect the specifics of the current circumstance. Who is queried? Healthcare data is obtained primarily from diagnosis and procedure codes. In particular, diagnosis codes are only assigned based on the documentation of those licensed, independent providers who render direct patient care. The 2019 ICD-10-CM Official Guidelines for Coding and Reporting define the term providers as, “physician or any qualified healthcare practitioner who is legally accountable for establishing the patient’s diagnosis.” Independent providers include physicians, consulting physicians, nurse practitioners, physician assistants, and medical residents. Code assignment may be based on other physicians’ (i.e., consultants, residents, anesthesiologist, etc.) documentation if there is no conflicting information from the attending physician. Refer to ICD-10-CM Official Guidelines for Coding and Reporting’s I.B.14. “Documentation by Clinicians Other than the Patient’s Provider” section for additional guidance. When conflicting documentation is present, it is the attending physician who should be queried to resolve the discrepancy. There are occurrences for which queries are applied to individuals who are not classified as a provider. AHA Coding Clinic® first quarter 2014 states that, “It is appropriate to assign a procedure code based on documentation by a non-physician professional when that professional provides the service.” For example, infusions may be carried out by a nurse, wound care provided by a nurse or physical therapist, mechanical ventilation may be provided by a respiratory therapist, or a medication may be ordered by the physician and administered by a nurse. In these instances, clarification may be needed from a non-physician professional and queries should be assigned as appropriate. All individuals who are likely to receive a query should be educated about the reason(s) for the query, the process, and the expectations for completion and documentation. the provider of record to unbiasedly respond with a specific diagnosis or procedure. References to reimbursement must not occur. All relevant diagnoses, lab findings, diagnostic studies, procedures, etc. which illuminate the need for a query should be noted. Regardless of the format and technology used, a query should not direct the provider to document a specific response. Best practice dictates that, whenever possible, query responses be consistently documented within the health record as part of the progress notes and discharge summary or as an addendum as appropriate. If a compliant query has been properly answered and authenticated by a responsible provider and is part of the permanent health record, absence of the documented answer in a progress note, discharge summary, or addendum should not prohibit code assignment. discoverable to other departments and external agencies. As stated before, the provider’s response to the query must be documented in the permanent health record in order to be coded. etiology, complications, and conditions/diagnostic findings -- Resolving conflicting documentation from multiple providers A provider’s response to a query should be documented in the health record even if the patient has been discharged. If the record has been completed, then an addendum should be created and authenticated according to organizational policy. As noted in AHIMA’s toolkit, “Amendments in the Electronic Health Record,” “the addendum should be timely, bear the current date, time, and reason for the additional information being added to the health record, and be electronically signed.” While organizations are free to determine the specifics of their query process, compliant practice requires that all queries either be a permanent part of the record or be retrievable in the business record. Query policies and procedures Query practice should be managed and monitored for compliance to organizational policy. Organizations should develop pertinent query policies, including a query retention policy and escalation policy (see additional details below). Examples of policies may be found on the AHIMA and/or ACDIS websites. be a permanent part of the health record and the location. If it is not considered a permanent part of the health record, it should be considered as part of the business record and retained for auditing, monitoring, and compliance. If the query is deemed to be part of the health record, it will be subject to health record retention guidelines which vary from state to state. EXAMPLE: Query Retention: Queries will be maintained in a business folder (section) of the health record for a period of seven years or as stated by medical bylaws. Provider response should not impact decisions regarding retention of the query. a specific or particular response. This policy should clearly outline expectations of each individual involved in the process, including the expected time frames in which resolution or further escalation is expected. Follow best practices Healthcare professionals who work alongside practitioners to ensure accuracy in health record documentation should follow established facility and organization processes, policies, and procedures that are congruent with recognized professional guidelines. This Practice Brief represents the joint efforts of both AHIMA and ACDIS to provide ongoing guidance related to compliant querying. As healthcare delivery continues to evolve, it is expected that future revisions to this Practice Brief will be required. Editor’s Note: This Practice Brief supersedes the January 2016 Practice Brief titled “Guidelines for Achieving a Compliant Query Practice (2016 Update).” For a complete list of references, contributing authors/reviewers, and further information, please visit the ACDIS Resource Library and download the PDF of this updated practice brief. The information contained in this Practice Brief reflects the consensus opinion of the professionals who developed it. It has not been validated through scientific research. “Guidelines for Achieving a Compliant Query Practice” was produced through the joint effort of the Association of Clinical Documentation Improvement Specialists (ACDIS) and the American Health Information Management Association (AHIMA). Both associations collaborated on the creation of this Practice Brief and approved its contents, and as such it represents the recommended industry standard for provider queries.